Alen Dehumidifiers are given consistently high ratings in reviews written by their users. Each of the models in the Alen range is Energy Star® qualified and all are energy efficient units. The current range includes three models of 70, 50 and 30 pint capacity. Each is suitable for use anywhere in the home and the larger units are particularly effective when used in a basement. 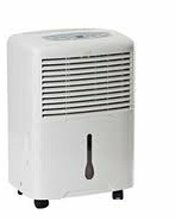 Alen dehumidifiers are supplied with a comprehensive range of features and these units are as well equipped as any others for use in the home. They are effective and reliable and may be expected to control humidity in your home effectively and economically. Prices vary only slightly from supplier to supplier and you can expect to pay around $250 for the 70 pint model wherever you buy. This price tag makes them a little more expensive than competing models, from Danby and Frigidaire for example. The Alen dehumidifier range does not boast any additional feature or characteristic (such as exceptionally low weight or noise output) compared with other popular models so the higher unit price can be justified only by superior quality and reliability. 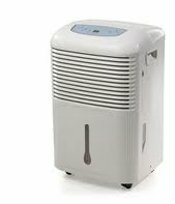 The Alen Dehumidifier is manufactured on behalf of the Alen Corporation, a small company founded in 2005, best known for its range of air purifiers. The Company operates from its headquarters in Austin, Texas and distributes its products throughout North America and large areas of Asia. The company enjoys a reputation for the quality and style of its air purification products and time will tell if its range of dehumidifiers will earn the same warm response. The MDF3-70 is the most powerful model in the range with a water extraction rate of 70 pints per day. Units of this size are popular for use in basements and the MDF3-70 is entirely suitable for this purpose. If you looking for a unit to control basement humidity you will probably appreciate the continuous drainage feature of this model. This feature is complemented by the auto-restart function, not always included with room dehumidifiers, which not only restarts the appliance following a power outage but preserves the settings (humidity level, fan speed etc.) which you had previously programmed into your unit. Larger units are always noisier than smaller ones but the MDF3-70 includes two fan speed options. Once the relative humidity is under control you may switch to the lower speed and enjoy both a less humid atmosphere and a lower noise level from the appliance. Please note that the MDF3-70 has recently replaced the MDF3-74. The MDF3-74 is still available from some retailers and if you wish to read my review of this model please go to my MDF3-74 page. For a slightly smaller area the Alen range includes the 50 pint MDF3-50. The MDF3-50 is as effective in small to medium sized basements as the MDF3-70 is in larger ones and is as popular for use in a basement. The MDF3-50 incorporates an adjustable humidistat to set the level of relative humidity you prefer. This is a critical decision because a level no higher than 50% is essential to prevent the growth of mold and to control the dust mite population, especially if you are an allergy sufferer. It is one reason why it is unwise to select a model that may not be quite as large as the area of your basement or family room requires. A touch more power than you need is always preferable to having too little, and results in lower energy costs. The 30 pint MDF-30 is the ideal size for smaller areas of the home. It will not normally be suitable for a basement, unless the basement is very small, but is ideal for use in a room in another area of the house. The smaller size and lighter weight of this model will also be appreciated, especially if floor space is restricted or the unit has to be moved frequently. Electronic controls and a digital read-out make the MDF3-30 easy to operate and to monitor. The water collection bucket is smaller in this model, in keeping with the overall size of the appliance, but if you do forget to empty it the unit will automatically switch off before it over-flows. Even better, although the smallest in the range, the MDF3-30 is configured for continuous drainage so if there is a handy drain nearby the need to empty the bucket can be avoided altogether.